This article examines the correlation between migrant remittances received by communities in El Salvador and two important indicators of human development, life expectancy and school retention. Data from the 2004 national household survey (EHPM) in El Salvador was used to create regression models to determine the incremental impact of remittances on life expectancy and average education level attained across the 262 municipalities of El Salvador. The results revealed that dollar amount of remittances had a statistically significant positive relationship with life expectancy, but a similar variable, the percent of people receiving remittances, which represents penetration of migrant remittances throughout communities, had a statistically significant inverse relationship with life expectancy. Similarly the education model showed that dollar amount of remittances was correlated with better school retention, but that the percent of people receiving remittances in a given community was correlated with lower levels of school retention. 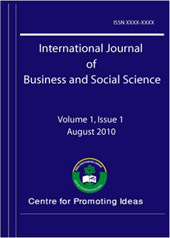 This article explains these issues and examines possible explanations for these differences, including the possibility that while dollar amount of remittances may ease financial constraints and improve certain conditions for households, the psychological effects of widespread migration may have the opposite effect on households and the wider community.